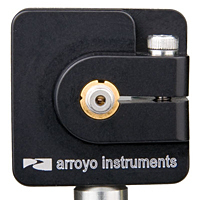 The Micro 5.6 was design to provide an inexpensive solution for holding and mounting 5.6mm TO-can laser diodes. The 1224 series of cables work with the Micro mounts to provide the electrical connections to the laser. 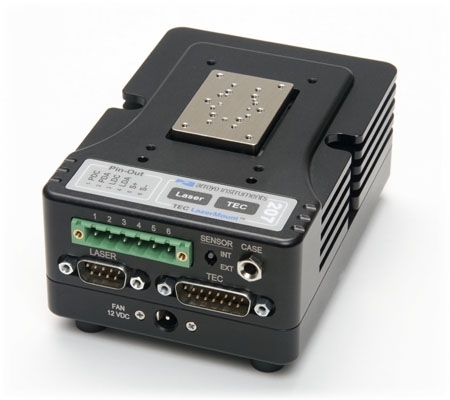 The cables feature the standard DB-9 connection to the laser driver for easy connection to any LaserSource laser driver. The Micro mount, coupled with the appropriate 1224 cable provides a quick and inexpensive solution to your TO-can control. The third thumbnail to the left shows the laser diode holder mount with post (not provided), and cable (optional).